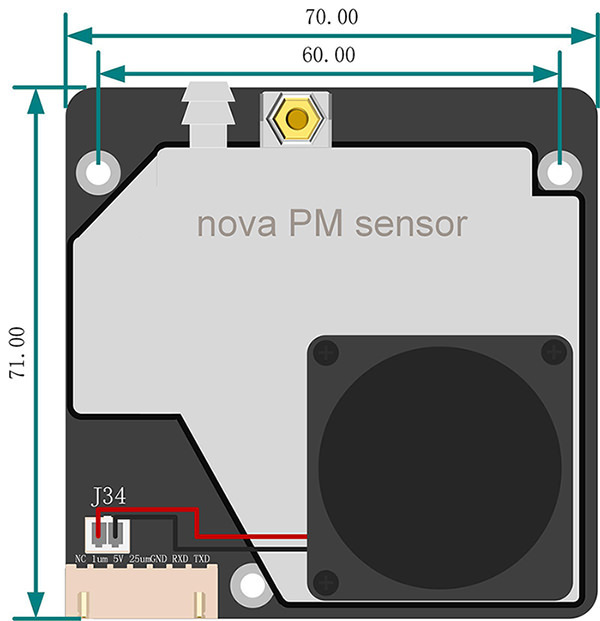 PM 2.5 sensor is a professional sensor for detecting PM2.5 and PM10. It is used for testing the air quality. It has good consistency and high accuracy,which can be accurate to a single unit of digit. Accuracy：Laser detection, stable and consistent. Fast Response: Less than 10 seconds' response to the occasion change. Easy to Integrate：Serial port output, with a built-in fan. High resolution：Enable to recognise particles with diameters smaller to 0.3um. 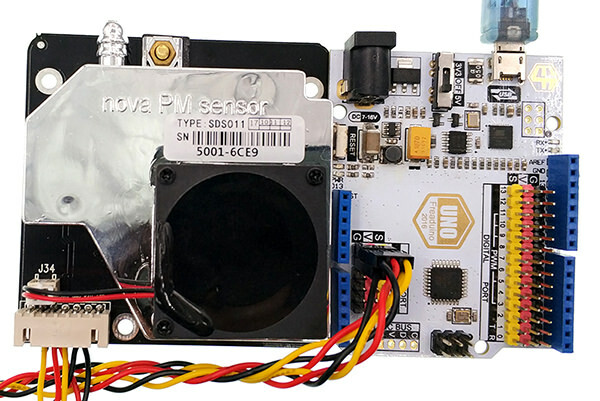 Available to be applied to PM2.5 detectors, air purifiers, filtering systems, etc..
Connect PM2.5 GVS to A0 on the Arduino UNO, and connect PM10 GVS to A1 on the Arduino UNO. 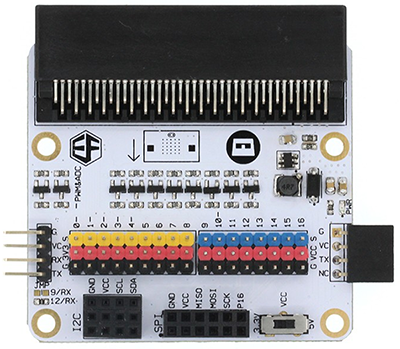 Connect PM2.5 GVS to P15 on the micro:bit breakout board, and connect PM10 GVS to P16. 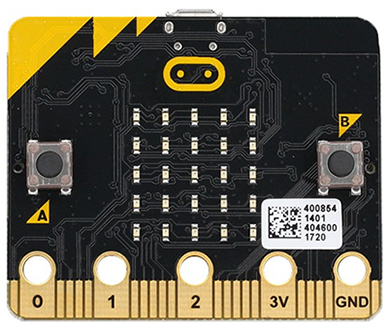 For the whole code, see this link: https://makecode.microbit.org/_83oYC4DcVc5z Or you can click Downloadin the page below to download all example code.